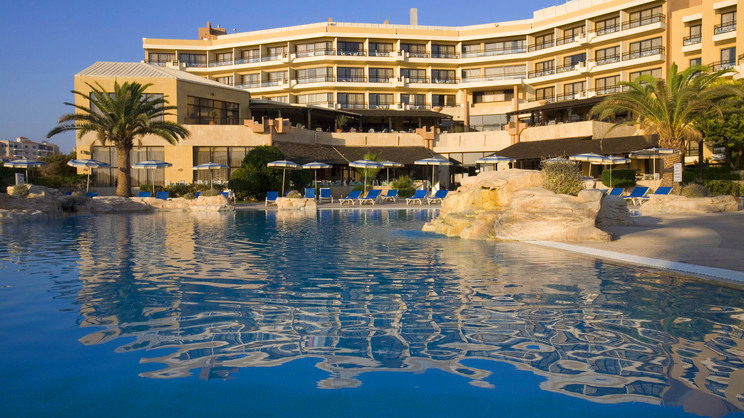 Discover the ancient allure of Cyprus with a holiday at the Venus Beach Hotel, Paphos. Situated in a picturesque beachfront spot just a short stroll away from the fascinating Tombs of the Kings UNESCO site, it’s the perfect place to relax and unwind whilst uncovering romantic relics. Comfortable rooms and fabulous facilities make for the ideal destination combination and guarantee a stress-free break away from it all. The hotel boasts a beautiful beachfront location on the south-west coast of Cyprus. There are a small number of shops, restaurants and bars within the immediate vicinity of the Venus Beach Hotel. Paphos International Airport is approximately 18km away from the Venus Beach Hotel.